How is life like in a slum area? All our 22STARS kids and artisans live in Uganda: a country on the equator in East Africa. It is bordered by South Sudan, Kenya, Tanzania and Congo-Kinshasa. Since its independence in 1962 from the United Kingdom, it has known a violent history. The country’s history is tainted by people such as Idi Amin, who in the 70’s made hundreds of thousands of victims- and Joseph Kony, who terrorized the North of Uganda between 1988 and 2006 with his Lord’s Resistance Army, consisting mainly of child soldiers, and who is still active in the neighbouring countries. There is peace now, but the consequences of the violence in the Northern regions are still felt every day and make returning impossible. There is peace in Uganda and we can even see a little progress, but the consequences of the violence in the Northern regions are still felt every day and make returning impossible. 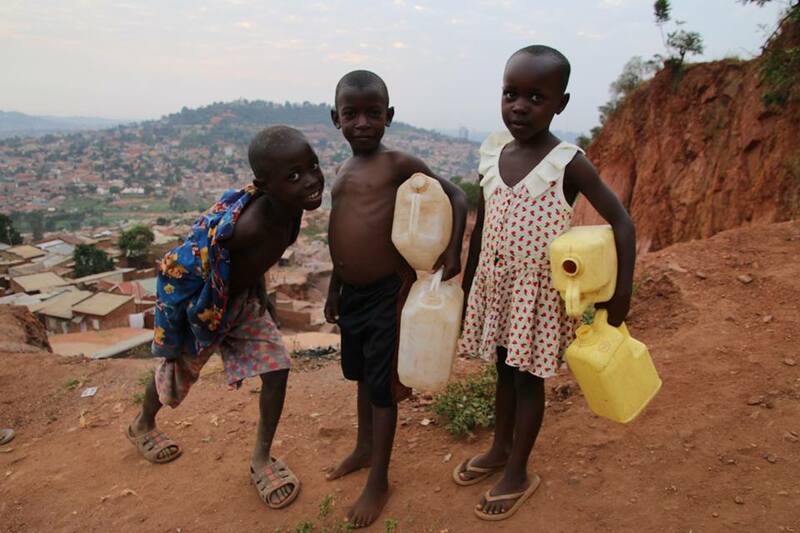 During the war, thousands of people fled to the South of Uganda. Many of these refugees ended up in Internal Displaced Person’s Camps (IDP’s). One of those camps, which is located just outside the capital Kampala, is known as the Acholi Quarter slum where 10.000 people live. The camp is named because the majority of people come from Acholi land in the North. 150 of our kids live here. There are shops, barbershops, cafés and bars. Everything in miniature format as the space in the quarter is very limited. In this respect the Acholi Quarter is a neighbourhood like any other neighbourhood. But unfortunately, this neighbourhood is nothing more than a piece of land that was given by the king to his people out of generosity. The district is overcrowded and occasionally cholera epidemics break out. There are neglected children walking around and there is a lot of drunkenness in the small main street. And just as in most slums and other IDP’s, sanitary facilities are completely inadequate, people suffer psychological traumas, there is lack of education, a lot of people suffer from HIV and aids, there is no infrastructure, and the streets are littered with waste. Most of the houses are not more than hovels. Only some houses have electricity, which they illegally tap from dangerous low electricity cabels. 99% of the houses have no running water. When it rains the whole area turns into a big mess because of its location on a hill, where the water keeps running down. Sanitary facilities are completely inadequate, people suffer psychological traumas, there is lack of education, a lot of people suffer from HIV and aids. As the people speak Luo and not many speak English or Luganda they got highly discriminated against. Because of the lack of opportunities a lot of men and women are forced to earn their living breaking rocks under very bad working conditions. Even their children are forced to sit there as there is no money for their school fees. Theiry wage is the equivalence of about 75 cents. They don’t earn enough to pay for health insurance, education or to save up for the future. A lot of men and women who live in the slum are forced to earn their living breaking rocks under very bad working conditions. Their wage is the equivalence of about 75 cents. They hardly earn enough to pay for their basic necessities such as food and shelter. It is virtually impossible to escape this poverty, with their biggest concern that without education their children await the same fate. But, surprisingly, in Acholi Quarter you will also find a lot of energetic positive minded women, fighting for a better future for themselves and their children. You will also find a lot of energetic positive minded women, fighting for a better future for themselves and their children. Among these women were the 22STARS artisans creating beautiful jewellery out of 100% recycled paper at home. Once they earned a living they started going back to school themselves and or send their child to school. As we saw first hand the impact education made we expanded the whole project. We set up the 22stars foundation and send now more than 225 kids to school. We have kids in pre schools, primary schools, secondary schools, international Schools and boarding schools. For just 0.50 cent a day you can send a child to a primary school!